The Nike MAG is Back! One of, if not, the most beautiful sneakers in the planet will be re-released on October 4th 2016 again in order to grow funding for the Michael J. Fox foundation. Previously the sneaker had been released within Nike’s official Ebay account garnering thousands of dollars per pair and thus creating a successful campaign for the foundation. 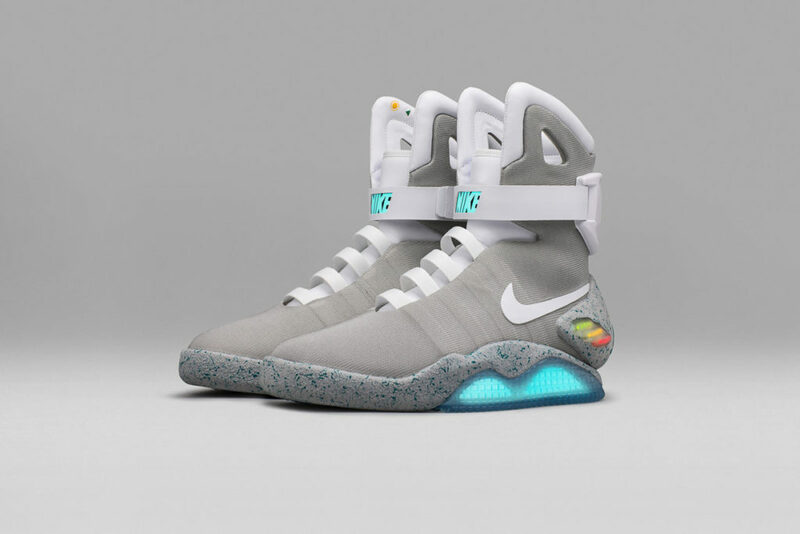 This time around instead of posting the Nike MAGs on ebay Nike will sell rafflle tickets at a price of $10 per entry in order to purchase the shoes. The Draw will start on October 4, 2016 and end October 11, 2016. All winners will be notified October 17, 2016 and onward. So what’s the big deal with these shoes? Why are they so important to our sneaker culture? Well the short answer to that is that they debuted on the Back to the Future movie where Michael J. 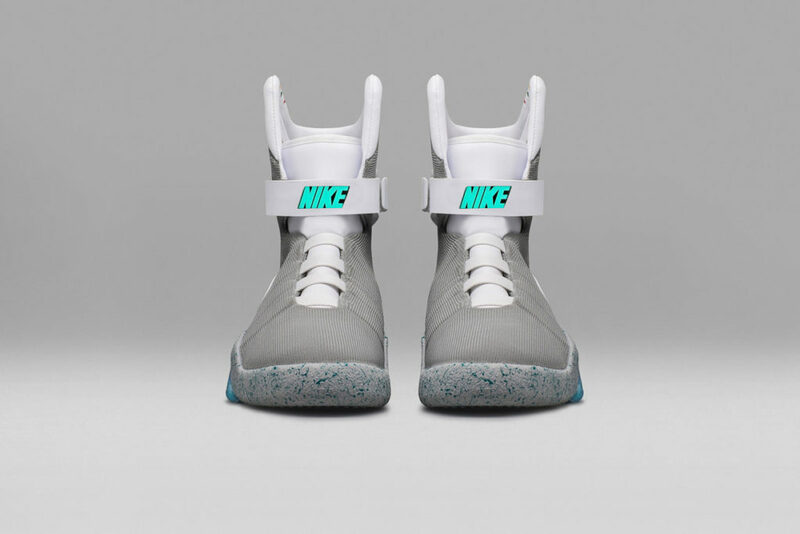 Fox himself goes to the future and the Nike MAG “is” the shoe of said future. Comparatively our current design taste may have changed but the design is essentially timeless. 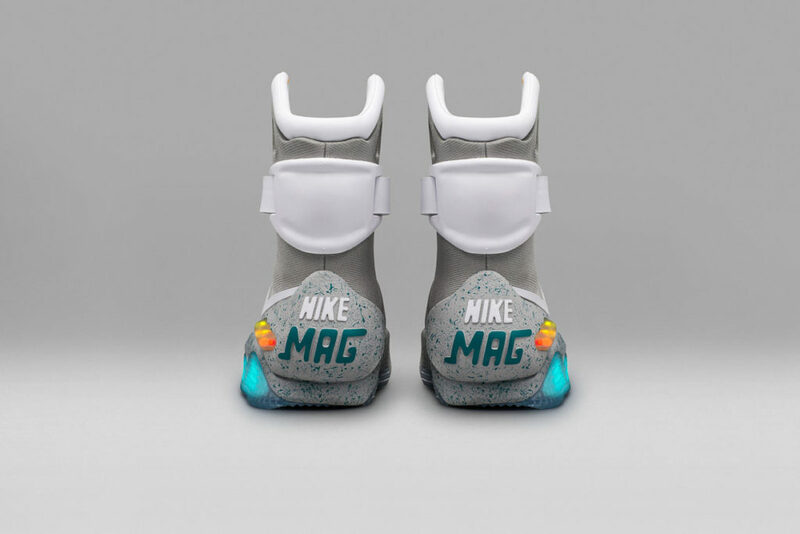 The Nike MAGs embody the ostentatious or loud traits of the 80’s, which are at least in fashion making a comeback. The long hair, tights, colorful apparel and clunky sneakers are making their reappearance in urban America and if there were a shoe that could shine, literally, in the current street apparel segment it is the Nike Mag. I will be personally buying a ticket for the shoes and hoping to dear old Dr. Emmet Brown that i’m able to win a set of the shoes. If not then I helped the cause to end or fight the horrible condition that is Parkinsons. For more places where you can help donate post the shoe raffle follow the links below.